Line managers are a rare breed of worker, not appreciated for the job they do until they stop doing it. 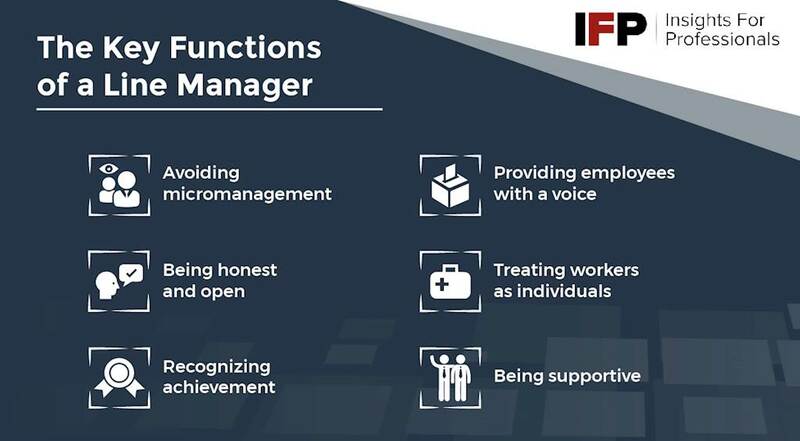 Whether mentoring staff or overseeing day-to-day operations of the workforce, the role of the line manager within a business is all-encompassing in the modern work space, and demands for creative inspiration are only increasing the pressure on these essential individuals. Classic responsibilities of managers include calculating staff roles and how these correlate with the organization’s objectives. Training and development also play a strong part, with 56% of HR managers believing that training and development is a key business growth enabler. Individuals also need supervision so that they can be given further guidance which helps them perform more efficiently. Offering technical support; knowing how office machinery and protocols work, and knowing how to fix them when they go wrong. Who needs to be contacted if software goes down? What are the firm’s NOPs and EAPs? Are contingencies in place? A business needs to be monitored from a bird’s eye view, while its cogs (the staff as individuals) need to be actively taken care of if they are to perform to their best and stay in good working order. On a psychological level, line managers must be in numerous places at once. Morale and motivation are ultimately the responsibility of the line manager. Within this, relationship proximity with staff becomes a key concern. Make no mistake, it is a talent to remain close enough to co-workers to inspire trust while respecting the clear lines professionalism draws. The skill calls for intelligence, sensibility, discretion and infinite tact, to say nothing of dedication and hard work. According to a study compiled by Great Place to Work, 62 per cent of employees feel they are not shown enough interest by their managers, two-thirds feel unappreciated for their work, while 70 per cent of employees harbor the intention to find another place of work further down the line. Research cites poor relationships with managers as a constant theme among dissatisfied staff. The findings demand a look at what the line manager’s further key functions should be, and this boils down to trust; the 2012 Engage for Success report, Nailing the Evidence, demonstrates that trust is a driver of performance. To garner an understanding of trust, we must turn its ingredients into practices that line managers can adopt. Few things are more frustrating in a workplace than telling someone to do something then not giving them the tools they need to finish a job. If staff need to spend half of their time sourcing resources they need, stress builds and trust in an organization fades quickly. Trusting an employee to carry out their job means leaving them get on with it. Asking a colleague if they have started a job yet is great if you want to antagonize, demotivate and lose cooperation. If you must, send an email asking the employee if they have everything they need to complete the job. The tactful hint will be received as such. If staff feel they are involved in the business, they’ll care more about it; it’s that simple. This influence needs to be demonstrated, however many firms create the facade of staff empowerment, which workers can see through from a mile away. This should be fundamental in any workplace. Line managers who fail to practice what they preach are setting themselves, and their business productivity, up for a fall. Stay true to your word and don’t make promises if you’re not 110 per cent sure of being able to keep them. Like the boy who cried wolf, people soon learn not to listen to the managers who declare ‘I promise’ at any given opportunity. Many times line managers perform a token walk of the staff floor, issuing bland hi-how-are-you corporate smiles to all and sundry. That infinite grin is the best way to tell workers that they are not worthy of individual engagement, it will win the contempt it deserves. Take the time to chat to your employees, find out who they are and what they do at the weekends. You’re not obliged to be their new bestie, but a little genuine interest goes a long way. This is a golden opportunity to show you appreciate workers and that you have every intention of rewarding people who do well. See beyond dinner-for-two at Burrito Land and two tickets to the local Odeon, and go the extra mile to really big up a worker. The feel-good factor will spread throughout the firm and beyond. Again, the difference between asking “Are you okay with that last task - is there anything you need?” and “Have you done it yet?” The same message communicated in very different ways. Similarly, if someone rings in sick, don’t go calling them in the middle of the day asking how their cough is. Unless you have evidence of an employee not playing by the rules, accusations can spell your downfall and corrode trust and friendship rapidly. Ultimately, workers respond to the company they keep, rather than the circumstances they are in. As such, line managers must prioritize the relationships that are the lifeblood of the business. With the correct practices and values, line managers should be able to foster a healthy business culture. In such an environment, the feared boss can become a heart-warming, easy-going and approachable figure for staff to turn to in times of need. High trust and good direction will ensure that staff wake arrive at work wanting to push things forward, a business-place nirvana that every line manager strives for.